NDCI offers molding presses capable of fulfilling each client’s precise and unique specifications using the latest process control and computerized operation technologies available. Just a few of these features includes real time graphic display LCD monitor readouts, patented top/bottom transfer to make switching to top or bottom transfer mode without any additional conversion, automatic mold clean systems, among many other convenient features. 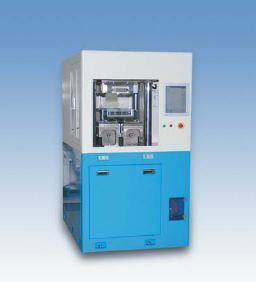 In short, you get a cost effective, easy to use, high quality piece of machinery that performs to your exact inputs. Whether you need transfer encapsulation presses, manual, semi-automatic, or an auto mold system, NDCI has what you need to fulfill your molding press needs, as well as a variety of high quality pre-owned molding presses for sale.